Android KitKat 4.4.x substantial updates are regularly coming from Google for smartphone and tablet devices. Now Google has rolled out Android 4.4.4 KitKat (Build: KTU84P) Update for Google Nexus and Google Play Edition devices including; Nexus 4, Nexus 5, Nexus 7, Nexus 10, Moto X, Moto G and Moto E, and its further expected to be rolled out via Over-the-Air (OTA) wireless process for more Android devices soon. We are sharing, full working method, guide and tutorial on How to Manually Download and Install Android 4.4.4 KitKat on Nexus 4, Nexus 5, Nexus 7 and Nexus 10. 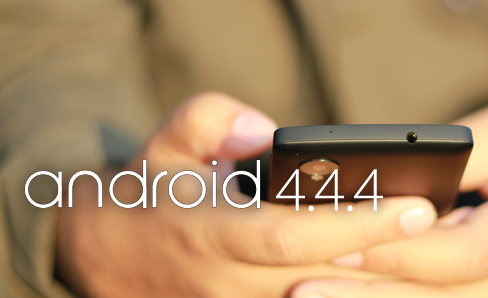 Google has also released latest Android KitKat 4.4.4 Release 2 (Build: KTU84Q) Update exclusively for LG Nexus 5 smartphone. The original Android 4.4.4 KitKat (Build: KTU84P) factory firmware system binary image software files are officially available for Nexus 4, Nexus 5, Nexus 7 and Nexus 10 HERE to restore / return the device to its factory state for users and developers who are familiar with Android Open-Source Project (AOSP). Currently, Android 4.4.4 KitKat Update is only compatible and supported by following Google Nexus devices. Ensure to take a backup of your device's personal information and data to avoid any loss. Ensure Android USB Drivers of your device is installed. How to Install and Flash Android 4.4.4 KitKat Manually on Nexus 4, 5, 7, 10 Manually? Step 1: First, Download the appropriate Android 4.4.4 original factory firmware for your device via above links, and unzip it in your relevant directory. Step 2: Now, Connect your device with your PC / Laptop computer via USB data cable. Turn off device, then turn it on and simultaneously press and hold "Volume Up + Volume Down + Power" keys while the device starting. Step 4: Now, if required, you may unlock the device's bootloader by simply run "fastboot oem unlock" command in cmd prompt. Step 5: After that, Open a terminal and go to your "unzipped original factory firmware directory" (Step 1). Step 6: Now, Execute the "flash-all.bat" script file (if running Windows), Otherwise just Click on "flash-all.sh" script file (If you're on Mac OS X). It will install all the necessary baseband firmwares, bootloader and operating system. Step 7: Once the whole flash/script process gets finishes, your device will reboots and welcome you with Android v4.4.4 KitKat. Congratulations!! You're done. Note: If you want to lock the bootloader for security reasons, then you can execute "fastboot oem lock" command, while in "fastboot mode".